As Russia’s much discussed and increasingly dispassionate pivot ambles on from west to east and back again, its roots, distorted by western sanctions, become clearer. Interpretations of its shifting geopolitical alignments hold merit, though in truth, and as is often the case with Russia’s energy policy, an opportunistic pragmatism rules the day; and its pursuit of dependency relations, cultivation of diplomatic usefulness, and posturing as a counterpoint to western global predominance will largely continue to define its actions in 2016. In that regard, the Russo-Japanese subplot is one to follow. Russia and Japan have a complicated history, characterized mostly by protracted and unsolved territorial disputes. According to Japan, Russia is occupying its Northern Territories – four of the southernmost islands in the Kuril or Chishima chain. For its part, Russia maintains the Soviet era occupation was lawful following the conclusion of the Second World War. Related: Exposing The Oil Glut: Where Are The 550 Million Missing Barrels?! Neither side’s claim is particularly solid, though Russia’s will be hard to dispute. Russia has plans to spend roughly $1.2 billion on development in the chain, with much of that earmarked for military garrisons and support infrastructure due later this year. Economically, the islands are no small prize. 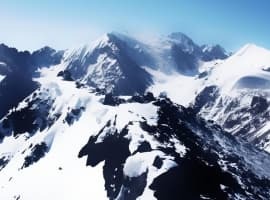 The Kurils are estimated to hold approximately 1,867 tons of gold, 9,284 tons of silver, several million tons of both titanium and iron ore, an abundance of rare earth minerals, prolific forest resources and extremely productive ocean waters, not to mention eye-catching oil and gas potential. Its ice-free straits with access to the Pacific are harder to value, though their strategic worth is clear. Still, for Russia, a more cooperative relationship with Japan may prove more valuable. At the end of 2014, Japan led all Asian nations with more than $14 billion in direct investment in the Russian economy – its investments in the oil and gas sector alone more than tripled China’s total contributions. 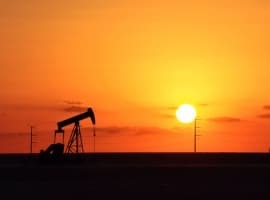 Further, Japanese Prime Minister Shinzo Abe has set a national target to meet more than 40 percent of the country’s oil and gas demand in 2030 with Japanese firms’ equity output. Deeper ties are not simply a matter of if, but when and where. Russia’s Yamal peninsula – and soon – is a start. After several years, and a few misses, Japan is reportedly still interested in pairing with Russia’s Novatek on its Yamal LNG development. The mega project, which will deliver liquefied natural gas to Asia via the Northern Sea Route, is in a financially tight spot; a Russian desire to moderate Chinese dependency will likely create some interesting avenues for the likes of Mitsui and Mitsubishi. Related: Oil Fundamentals Could Cause Oil Prices To Fall, Fast. The vast, underdeveloped regions in Eastern Siberia are a logical, albeit more risky follow-up. 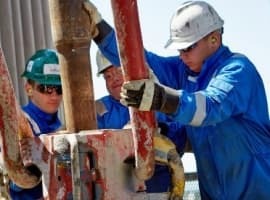 Equity stake issues recently nixed a partnership between Japan’s JOGMEC and Gazprom Neft on the latter’s hefty Chonsky oil and gas project, but economic realities may force the Russian company, and broader government, to reconsider its boundaries – Russia is apparently open to doing just that on a strategically significant scale in the near-term. Elsewhere, from Yamal, to Tatarstan, to Yakutia doors are opening for Japanese investors, and opening wide. With the carrot of a potential territorial resolution in hand – and with Tokyo seemingly willing to splinter the U.S. strategy of isolation – Russia is operating from a relative position of strength. Yes, Moscow’s ability to dictate terms remains limited, but a place at the table and foot in the back door will do. 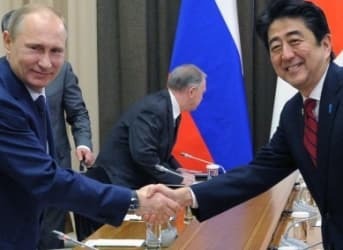 "At the end of 2014, Japan led all Asian nations with more than $14 billion in direct investment in the Russian economy – its investments in the oil and gas sector alone more than tripled China’s total contributions." I think you need to check your figures. China has signed agreements with Gazprom and Rosneft for close to $800 billion over 20 years. That's more than double Japan's $14 billion p/yr. The figures cited are for 2014, and not a per year measure. You're free to check the link provided. Regarding the deals you mentioned, $800 billion is a hopeful assumption, and also not entirely direct investment. The Power of Siberia pipeline is underway, but the second memorandum still lacks any solid agreement on price or even volumes. Moving forward, China will certainly be a bigger investor than it was in the past, likely overtaking Japan. That doesn't change the premise of the article. We're supposed to see this energy as oil and gas, but the East Asian islands are actually sitting on a vast, cleaner and sustainable source -- geothermal! Energy is only one part. Oil is used manly in transportation. Geothermal energy is abundand in Japan and direct. Oil is used in chemicals from lipsticks to medication. Japan needs oil badly. Read their history and fight for this in "Price"